Hey, look at that! I’m talking about wrestling again! Yeah, I don’t talk about wrestling much on this site, so who knows if I’m alienating those who do read my writings. 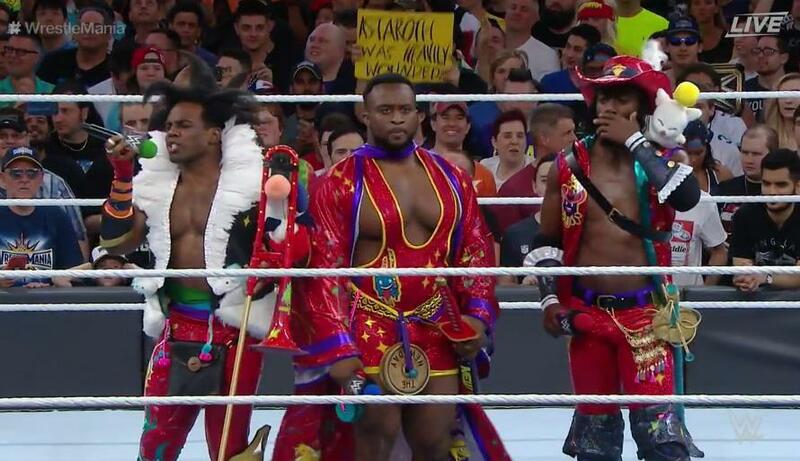 But it’s hard to be a wrestling fan and not write about Wrestlemania. Maybe I’ll even start writing more on the intriguing world that is pro-wrestling. 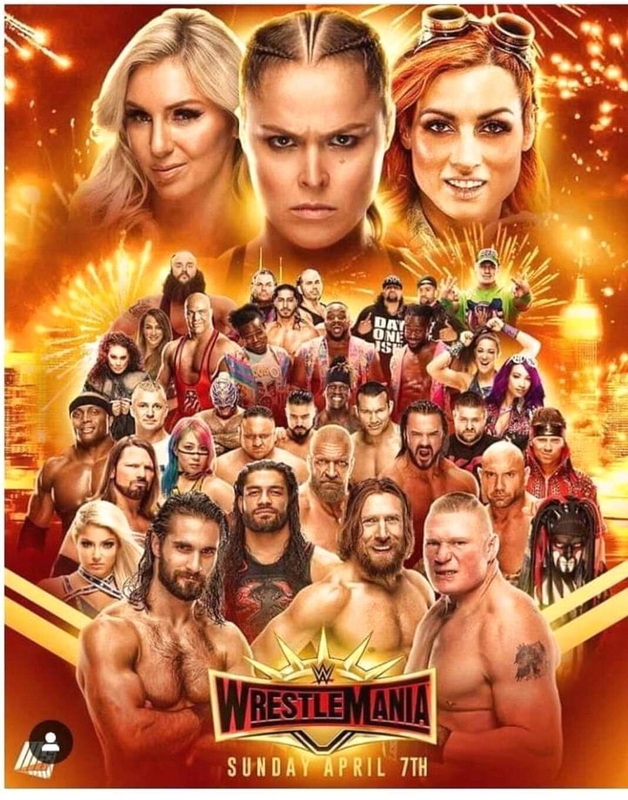 Wrestlemania, the biggest event on WWE’s (and indeed, all of pro-wrestling’s) calendar has come and gone. 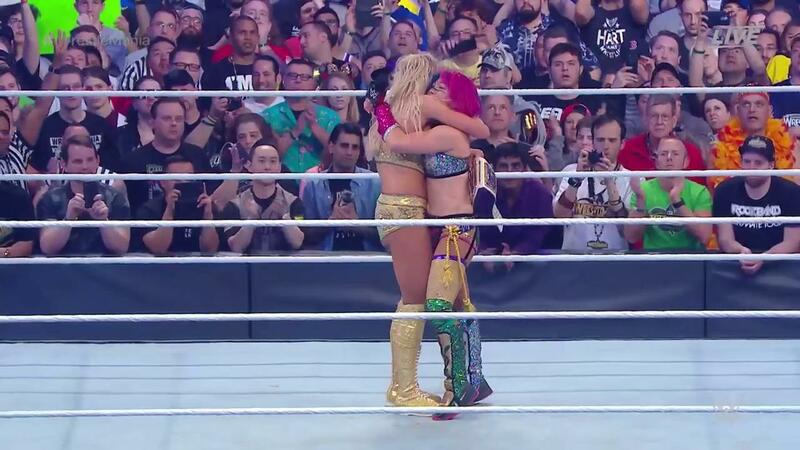 Overall, the event could be argued as one of the best Wrestlemanias ever in terms of consistency (there was no truly awful match). But it did have it’s share of questionable booking decisions. I’m going to try and give a run down of every match, but because it was an exhausting seven hours long, I’m going to try to keep each match description/my opinions brief. Though LJN was most infamous for the many movie-based games they brought to home consoles (namely the NES), the also had their go at the realms of pro wrestling-based games, such as WWF Super Wrestlemania, which was released in 1992 on both the SNES and Sega Genesis. The good news is that WWF Super Wrestlemania is far from the worst LJN game I’ve played. The bad news is that it still isn’t very good, as it lacks depth in its content and cohesiveness in its gameplay. In WWF Super Wrestlemania, players can select between ten wrestlers from WWF’s (now WWE’s) wrestlers from their golden period: including the Undertaker, Hulk Hogan, “Macho Man” Randy Savage, and “The Million-Dollar Man” Ted DiBiase. Players can partake in singles matches, tag team matches, and 4-on-4 Survivor Series elimination matches. Obviously, there aren’t a whole lot of modes, which is understandable considering the limitations of gaming technology of the day (not to mention the now-WWE hadn’t introduced many of their gimmick matches until the mid-to-late 90s, so they couldn’t very well appear in a video game adaptation), so this would be forgivable if the gameplay captured the action and fun of actual WWE programming of the day. Sadly, it doesn’t, and this is where the game truly stumbles. Wrestling a match in WWF Super Wrestlemania feels more like mindless button-mashing, with successful strikes and grapples being determined simply by who can press the buttons the fastest. Worse still, the sense of perspective is nothing short of atrocious. Granted, trying to merge the in-ring action of pro wrestling in a two-dimensional space would surely be complicated, but games like the Fire Pro Wrestling series have proved that it can work. But here, you can never really tell when you and your opponent are next to each other, or when one of you is above or below the other from a three-dimensional perspective. It’s just plain confusing to look at, and when combined with the button-mashing, just make the matches feel really sloppy. Another downside is that all of the characters play identically to one another (the Genesis version includes finishers unique to each character, at the expense of two less characters). Given the colorful, larger-than-life nature of pro wrestling characters of the day, it’s a real shame that the only differences between characters are cosmetic. And having Hulk Hogan having an equal arsenal of moves as the Undertaker is just wrong on so many levels. On the plus side of things, the character sprites look nice and detailed, and the music has some decent 16-bit recreations of the wrestlers’ theme music (though admittedly, you could also imagine much cooler 16-bit remixes as well). WWF Super Wrestlemania may provide a few short minutes of fun if playing with a friend, but the action is too sloppy and confusing, and the lack of variety in characters and modes are just too disappointing, for it to be the fun multiplayer brawler it could have been.